Stratford is alive with the arts throughout the year. As well as the professional theatre performances at the Royal Shakespeare Company Theatres, there are several venues regularly hosting a variety of music, comedy and drama. 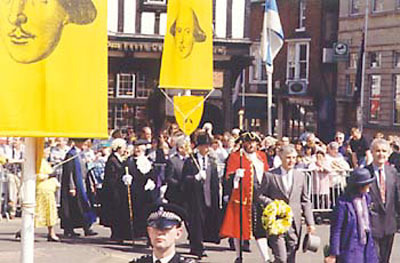 There are also several festivals taking place throughout the year which include the Stratford-upon-Avon Literary Festival, Stratford-upon-Avon Music Festival, the Fringe Festival and the Stratford Food Festival. To discover more, see the Programme of Events - What's On for 2019. We continue to work on the list of activities for 2019 throughout the year. We will also be listing bank holiday activities such as: Easter, May Day and of course Christmas.